Hidden talent in our shooters. The resourcefulness and talent among SASS members never ceases to impress me. 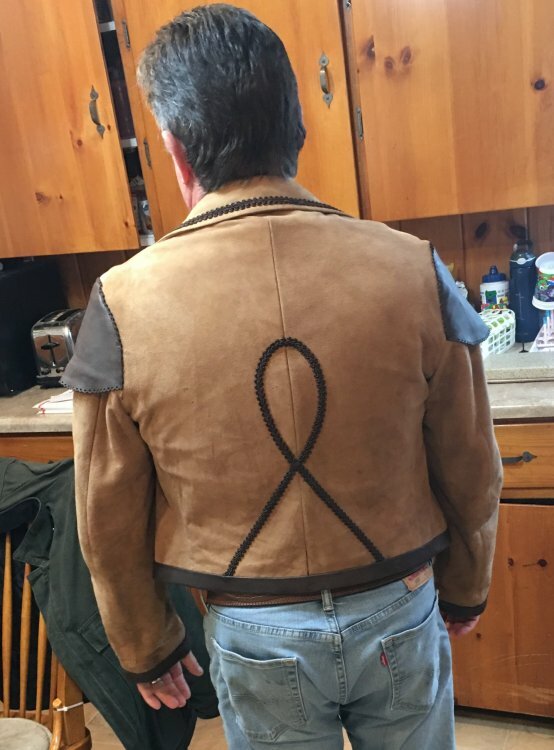 Chili Pepper Pete made this awesome vaquero jacket from a leather sport coat he bought second hand. He not only shoots well and is a World Champion but goes to a lot of effort to dress the part as well. When I started folks made their own stuff because there just was not a lot available. That lead to a lot of unique items on the range. This is just one example of the kind of stuff that separates us from the other shooting sports in a GOOD way. I think it's something to be celebrated. 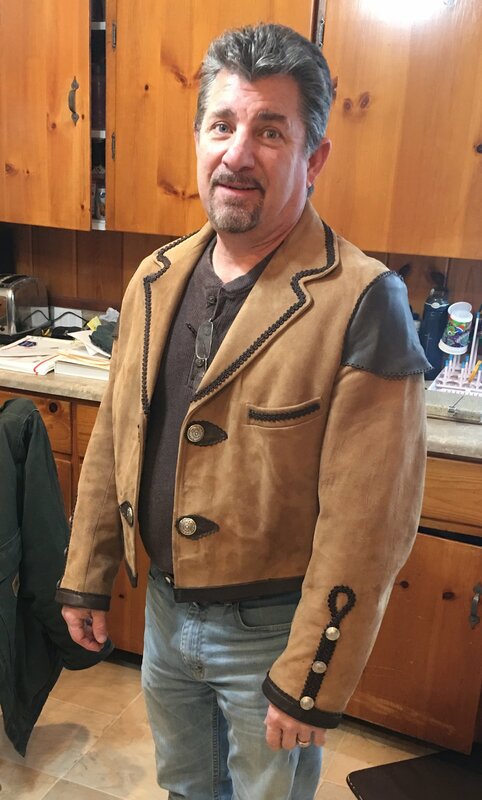 I know a shooter who would love a jacket like that. Beautiful work. I totally agree with ya on this Deuce, it's just one more of the draw's that i enjoy so much about CAS. You won't see this in any other shooting sport,might even get ya made fun of. All in all i think were pretty lucky for the people , environment and individualism we have here. Great work Chili, does it come in my size. No surprise though. CPP is "the greatest!" I believe it's one of the more important things people need to pay attention to within our sport. Get to know the people you shoot with. You would be amazed at all the things these folks can do. If you run a club, do this. Use the resources you have already in place. For example... Split Rail and Stone Creek Drifter, they have built us new, safer targets. Those two are such a great team and what they are capable of is amazing. My Dad, Moosetracks.. within the last handful of years has built us new wooden props. One Shot Al and Needle Eye Annie own an embroidery shop, they now produce club gear to help us promote our club and sport. Just need to pay attention to the folks around you. Speaking of hidden talents, I play a mean Juiceharp. That is really cool. 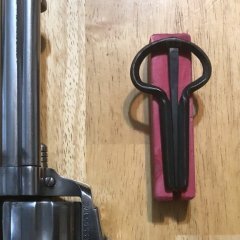 Two Gunfighter-Thumbs UP!! You should see the plainsman rifles he did. Also very nice. Multitalented for certain. And he's an OK guy to boot. We used to have a fairly active Cowboy Construction Crew but then we got old.